Back by popular demand, experience the magic of racing in Japan on the annual VRC Racing Tour. The Victoria Racing Club is delighted to invite Members to attend the VRC Racing Tour to Japan, departing on November 18. The nine-day tour takes in Hokkaido's world-class breeding farms and provides the rare opportunity to visit Shadai Farm, Shadai Stallion Station and Northern Farm. The itinerary includes escorted sightseeing daily and two race meetings at Fuchu, including Tokyo's richest and most prestigious race, the Japan Cup. Members will join a Mount Fuji-Hakone Tour which includes a bullet train experience. Fascinating sightseeing by day is complimented with a group dining experience at night. Booking information: For all booking enquiries please contact VRC Racing Tours on (03) 9909 7224. This tour is restricted to Full Financial Members and a guest. The capacity for this tour is limited to 40 places, so please book early to avoid disappointment. 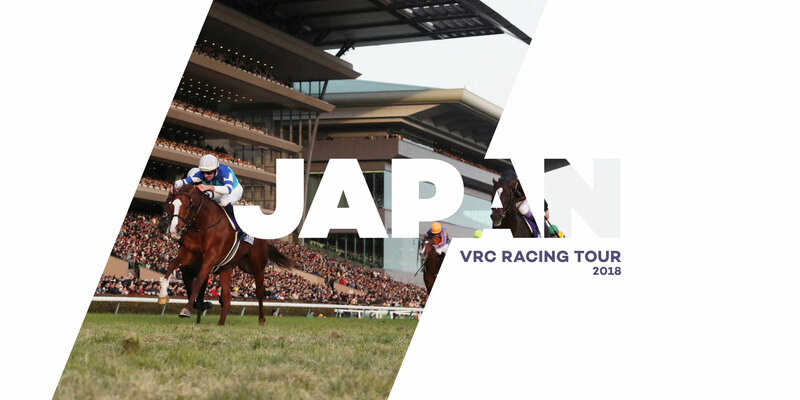 For full tour itinerary and package inclusions please view the 2018 VRC Racing Tour - Japan brochure (PDF).